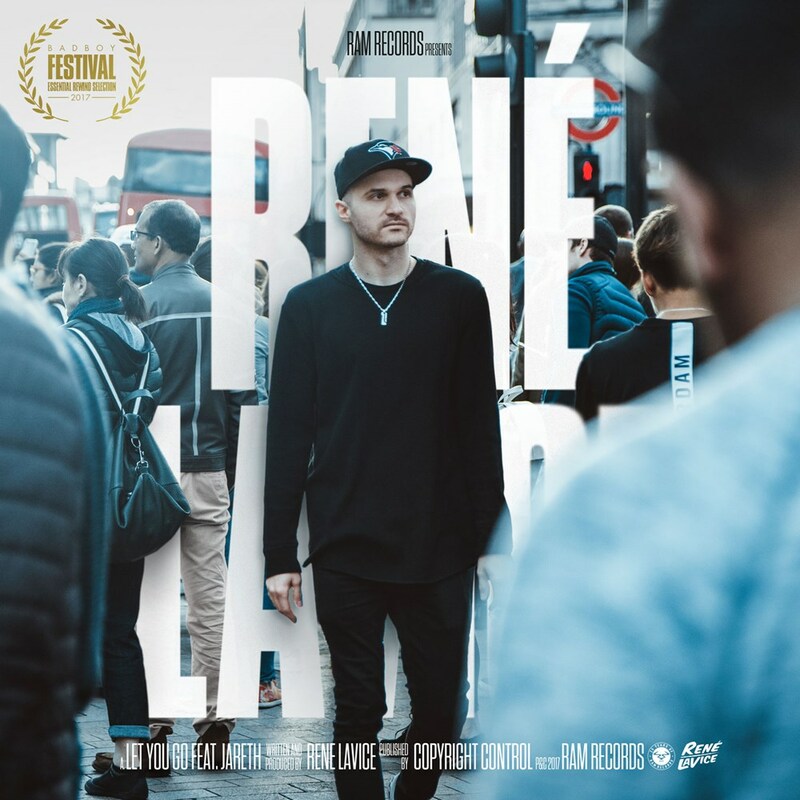 Rene LaVice's story began after becoming enamoured with the world of drum & bass during his formative years. After spending time both behind the decks and in the studio, he honed a craft which saw him land a prized place within the Ram Records roster and move to its hotbed in London. From here his career went from strength to strength, with his single 'The Calling' ft. Ivy Mairi hitting BBC Radio 1's A List and releasing two critically acclaimed LPs on the imprint. He's set to return for a third album this year, with forthcoming track 'Let You Go', written alongside singer Jareth, once again channelling the same emotive vibe peppered across his back catalogue. Whilst this next output from Rene is reminiscent of his earlier releases, it also takes you diving head first into a different soundscape. 'Let You Go' features an impressive musicality, as well as a lyrical content which helps to keep its impassioned vibes. Singer Jareth, who Rene previously collaborated with for single 'Helium', shot to prominence following features with Bashy, Ghetts, Chris Lake and Lioness, garnering support from BBC 1xtra and BBC Radio 1, as well as launching a fashion campaign alongside Roberto Cavalli. With vocal crescendos and crashing, high-rising synth patterns, Rene crunches forward on chomping snares. Each drum peddle helps bolster the mix whilst you're taken down a swirling melody moving between firing beat patterns. It's the perfect reintroduction to Rene's ingenious song design, which he's switched up for another year of delivering yet more incredible music. 'Let You Go' will detonate the anticipation around Rene's forthcoming album â€“ it'll continue to prove his capabilities as an artist and push him even further onto the radars of tastemakers everywhere. After bringing his sounds transatlantic for a US tour, the producer is set to dominate the airwaves, taking his music globally through all aspects of his art.